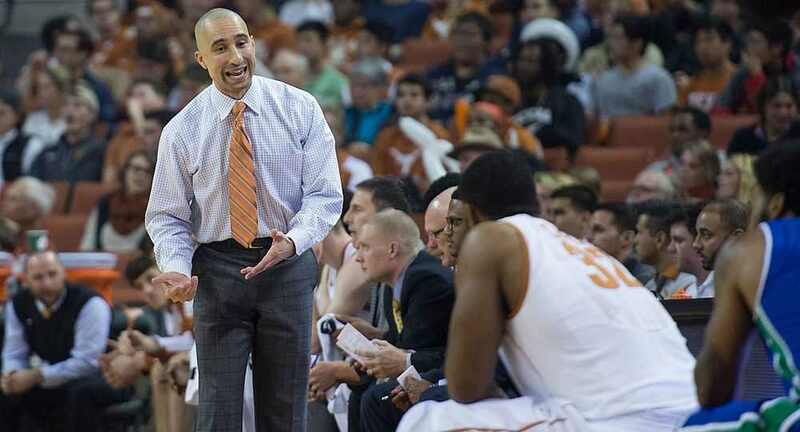 Saturday's 22-point (75-53) win at West Virginia marked the Longhorns' widest margin of victory during Shaka Smart's tenure as head coach of the Texas men's basketball team (photo courtesy of texassports.com). MORGANTOWN, W.V. — Freshman guard Courtney Ramey scored 19 points to lead the University of Texas men’s basketball team to a 75-53 win over West Virginia in Morgantown. The margin of victory was the Longhorns’ longest in a game against a Big 12 opponent during head coach Shaka Smart’s tenure in Austin. The victory improved UT’s record to 14-10 overall, and moved the Longhorns above the .500 in games against Big 12 teams, at 6-5. WVU dropped to 10-14 overall, and 2-9 in games against conference opponents. The biggest margin for a Smart-coached Texas team against a Big 12 team had been 20, in the Longhorns’ 67-47 at Kansas State Jan. 2. The 19 points tied the highest total of Ramey’s career, matching his output in UT’s 98-88 loss to Georgia. Texas head coach Shaka Smart said after the game that his team, which led, 34-48, at halftime could have had a bigger lead at the intermission. “I thought our guys did a good job executing what we were trying to do,” Smart said. “We missed a lot of easy ones in the first half, but the six threes in the first half, along with pretty good defense, allowed us to build a lead. Ramey was one of just two Longhorns to score in double figures — guard Kerwin Roach added 14 points — but Texas relied on a balanced attack, as 10 of the 13 UT players who got in the game scored. Forward Jaxson Hayes had 9 points, Sims tallied 8 and Mitrou-Long added 7. Thanks in part to a team-leading 10 boards by forward Dylan Osetkowski, the Longhorns enjoyed a 42-34 advantage in rebounding, which Smart said was part of the focus going into the game and a point that was revisited in the locker room at halftime. Smart said that during the intermission, he and his coaching staff told the Longhorns to “stop worrying about the refs, first of all, and continue defending. We held them to 28 points (in the first half). We talked about keeping West Virginia off the glass as much as we possibly could. They’re a really good offensive rebounding team, and then defending the three. I think they got four offensive rebounds in the second half, and I don’t think they made a three in the second half, so our guys did a really good job following that plan. Ramey connected on seven of his 12 field goals, including a sizzling 5-of-6 shooting performance from beyond the three-point line. He also added five rebounds and four assists. The Longhorns now return home to Austin, where they will host Kansas State at 8 p.m. Tuesday, February 12 at the Frank Erwin Center in a game that can be seen nationally on ESPN2.